Vice President Joe Biden announced Wednesday morning that he will not seek the presidency, citing the grieving process of his family in the wake of the death of his son, Beau. Biden used his speech as an opportunity to discuss the issues he feels are most pressing in the U.S. right now. He named a strengthened middle class, improved care for children, and better strategies for military deployment as some of the key issues for the Democrats to focus on. Joined by his wife Jill and President Obama, Biden has ended the questions surrounding whether he will seek the presidency. 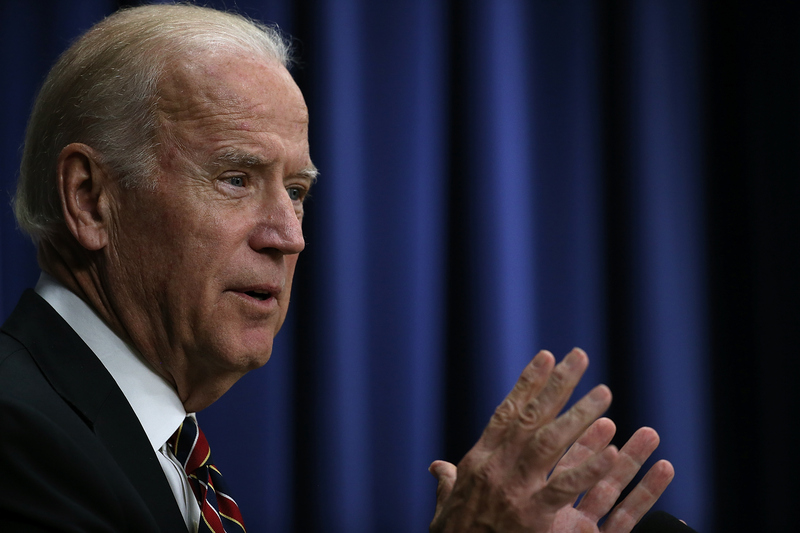 But in doing so, he has raised a new question: Who will Biden endorse for president? On the one hand, it seems likely that Biden will endorse Hillary Clinton, given that she also served as a member of Obama's cabinet, as Secretary of State. But in Washington, nothing is so simple. Biden has been critical of Clinton recently, particularly regarding her comment during the first Democratic debate that Republicans were an enemy she was proud to have made. In his speech this afternoon, Biden was adamant that "Republicans are not the enemy," but rather are simply the opposition to the Democratic party. Previously, pundits had speculated that Biden had made comments about the "Republican enemy" statement in order to distinguish himself from Clinton as a lead-up to a campaign announcement, but now it seems that Biden just isn't on the same page as her on this point. Biden raised the point about Republicans not being enemies of Democrats at a speech he made during the White House Summit On Climate Change, where he also made a criticism ostensibly aimed at Bernie Sanders. Biden stated, "By the way, I'm not one of the guys, you know, 'Let's go after the rich and the powerful and they're the problem.' They're not a problem, but everybody has to do their part, man." A major component of Sanders' platform is reformations for Wall Street, an institution he has routinely critiqued. Biden evidently feels much differently than Sanders does regarding financial reform. In general, Biden has made it clear that, as vice president, he wants to join forces with the "opposition," and compromise if compromise means legislative progress. This is an understandable sentiment coming from the President of the Senate in a Congress that has seen plenty of gridlock and bickering in the several months. As presidential candidates, Clinton and Sanders will of course express views that more ardently lean left in order to appear as Democratic as possible to their core voting base. The vice president is perhaps in a position where compromise is more favorable and serves the agenda of his post better than it does for Clinton and Sanders. As a fellow Democrat, Biden surely sees eye-to-eye with both Clinton and Sanders on certain issues, and most likely will opt to back one of these frontrunners. His criticisms of both candidates in very recent days makes it difficult to guess who will receive his endorsement. Only time will tell if the V.P. decides to offer an endorsement during the primaries.